Next year’s Nato summit in Warsaw will address a serious question: how should the alliance follow through on the measures initiated at Newport (September 4-5, 2014), which were its first response to serious changes in the security environment of Europe brought about by Russia? Despite differences of opinion among member states on the wisdom of moving some Nato troops to the east, indications are that the alliance will continue firming up its eastern flank. To a degree, the outcome of the Warsaw summit will depend on the actions of Russia in Ukraine and Syria over the next six months, as well as on the level of unanimity among Nato members in assessing these actions. However, the fundamental challenge will be to develop Nato’s response to ‘below the threshold’ attacks – a new type of limited military operation against a member state. Such operations are covertly arranged, politically timed and shielded by a screen of disinformation and propaganda so that the allies of the country under attack may question whether what is happening actually constitutes an act of war. A lack of consensus on this critical matter would block the mechanism of collective defence enshrined in Article 5 of the North Atlantic Treaty. Nato has powerful deterrents, both conventional and nuclear. They are sufficient to deter any country from open aggression against a member of the alliance. To counter ‘below the threshold’ attacks, however, Nato has relied on temporary fixes – such as rotating troops to the Baltic states, Poland and Romania. The strategy of ‘below the threshold’ attack is geared to taking advantage of Nato’s often slow decision making process. Its ultimate purpose is to achieve Russia’s strategic objectives before Nato manages to reach the consensus it needs to react. This threat is more than just theoretical. Indications are that Russia has returned to a strategy of building its imperial power. Experts are mostly in agreement that the Russian policy of applying military pressure on Ukraine, which began with a series of improvised moves in reaction to the revolt in Kiev in the winter of 2014, is today part of a larger geopolitical project. The Kremlin’s aim may be to restore its hegemony across the entire post-Soviet space, and to recreate a sphere of influence in its immediate neighbourhood. If it were able to achieve this, Russia would extend its political and strategic reach significantly on the global stage. This construction opens the way for Russia to expand its sphere of influence into the territory of Nato member states, creating a new buffer zone strategically separating Russia from the West. What actions could Russia undertake in order to achieve these goals? The options range from exerting political and military pressure, through covert aggression and on to open aggression. Political and military pressure is already a fact. Russia is applying it through diplomatic, political and economic channels. The military version involves large-scale manoeuvres, provocative flights skirting Nato airspace and submarine incursions in the territorial waters of the Baltic rim countries. The Kremlin’s propaganda apparatus has also assumed a major role, pushing opinion and disinformation designed to confuse, intimidate and occasionally frighten public opinion in the West. A Russian success in Ukraine and in Syria, combined with the effective ‘softening up’ of Nato countries’ resolve, could encourage the Kremlin to move on to the next stage of the process: hybrid aggression towards selected members of the alliance, such as the Baltic states. Here a more direct use of military force is possible, but it would be calibrated not to cross over into open warfare. Initially, such an operation would involve stepping up the pressure – for example, by adding destructive cyber attacks to the scenario. Covert operations by special forces on land, sea and air would follow. Interestingly, there would be no open seizure or occupation of territory in order to complicate Nato’s assessment of the situation and weaken its response. Operations of this kind are certain to create a serious decision-making dilemma. Within the alliance, it would create a ‘tough consensus’ situation, in which some decision-makers may be reluctant or slow to grasp the nature of the events in the nation under hybrid attack. Are we really dealing with external aggression and do we have to react? Perhaps this is only social unrest ­– a problem for internal security or law enforcement? At the key moment, just before the alliance’s belated response, Russia could simply terminate the operation. Its objectives would already have been achieved. The countries under attack and their neighbours will be intimidated, while the credibility of Nato and the EU will have suffered serious damage. In this fashion, Russia could construct a new geopolitical reality – a security buffer on its sensitive western border. The third scenario – open aggression – seems quite unlikely at present. However, it cannot be entirely excluded from our analysis, especially if Russia scores a major success in Ukraine or Syria, or in the case of severe disharmony within Nato or the EU. As part of such a scenario, Russia could follow up on covert operations with an open, limited-scale military attack against a Nato member – for example, one or more of the Baltic states – to definitively settle the geopolitical situation to its advantage. This is not a very probable turn of events, yet there is no denying that the European security environment has been evolving in a dangerous direction. What can Nato do to minimise the risks? A good answer to the threat of ‘below the threshold’ aggression – or any aggression, for that matter – is deterrence. The point is to complicate a potential aggressor’s decision to attack. Eastern-flank Nato members argue that moving forces stationed deep within the alliance’s territory to positions in the border states could address the problem. Redeploying only a small number of troops would suffice: the mere fact of their presence would act as a trip wire and make a potential aggressor think twice, since any intrusion would automatically embroil the attacker with other member states. Nato and EU leaders appreciate the problem of ‘below the threshold’ attacks and have already taken some steps to make them less effective. For example, work has begun on building an active system to counter the Kremlin’s propaganda onslaught with balanced, factual information. Nato opened a Strategic Communications Centre in Riga, Latvia in August 2015, while the European Union recently decided to create its own body to counter Russia’s disinformation offensive. But stationing allied contingents in the countries at risk of ‘below the threshold’ attacks has proved to be more controversial, even though there is reason to believe it could work as effectively as Article 5 has for members threatened with conventional attack. Some Nato members question the eastern redeployment on political and legal grounds. The bone of contention is a document signed on May 27, 1997 at the Nato summit in Paris. The Nato-Russia Founding Act on Mutual Relations, Cooperation and Security – according to some members of the alliance, including Germany – precludes the stationing of Nato armies on the territories of its new members, the former Warsaw Pact countries. This argument does not withstand close scrutiny. It is worth noting that the European security system within which the Act was supposed to function has largely ceased to exist. One of the pillars of that system was arms control under the Treaty on Conventional Armed Forces in Europe (CFE), which set limits on the amount of military equipment in Europe from the Atlantic to the Urals. Russia officially withdrew from the CFE on March 10, 2015 after committing repeated acts of aggression against its neighbours and annexing parts of their territory. Russia, therefore, bears responsibility for destroying the security environment in which the pledge on permanent stationing was to function. The insistence by some Nato members that the Act remains in force has been difficult to understand for the alliance’s eastern members. The other side has responded that any permanent redeployment runs the risk of prompting Russian countermeasures and complicating the already tense relations with that country. Some also argue that the current measures, especially temporary rotations, are sufficient protection for eastern members. Business as usual – This scenario is the least likely to materialise. In theory, ‘old’ Nato members could simply shrug off the concerns of the eastern flank states and stick to the measures approved in Newport. No military bases would be set up in new members’ territory; selected troops would continue to be rotated as a symbolic presence under training programmes that require extension every year. Such an outcome would mean ignoring the new security threats emanating from Russia and deepen the doubts voiced by some eastern members about the defence alliance’s real worth. ‘New strategic opening’ – Some version of redeployment remains a possibility. Establishing a permanent troop presence to the east of Germany, including the construction of new installations, would beef up the alliance’s ability to deter Russia. Nato’s border members, of whom Poland is the most vocal, have six months left to line up support on this issue. Their main argument is that the 1997 Nato-Russia Act excluded permanent stationing of ‘substantial combat forces’ on new members’ territory. At that time, a ‘substantial’ force was regarded as the equivalent of about two brigades – well below the level needed to effectively deter ‘below the threshold’ attacks. Moreover, the Act clearly allows the expansion of defensive infrastructure and contains a declaration that new Nato members cannot be treated differently from previous ones. In other words, there cannot be second-class membership conferring a lower level of protection. Compromise – This scenario is the one most likely to play out in Warsaw. 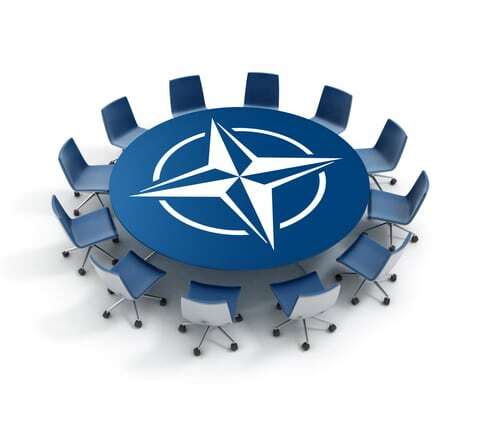 Given Russia’s involvement in Syria and the increasing likelihood of a political solution in Ukraine, Nato may find it difficult to stiffen its posture towards the Kremlin in any radical way. A compromise would be for the whole alliance to adopt measures that the United States is already offering east-flank members on a bilateral basis. US officials are not talking about new garrisons in Poland or Estonia. Instead, they are focusing on building infrastructure – command and communications centres, prepositioned storage facilities for equipment and supplies. The presence of such infrastructure will make Nato’s military response to aggression swifter and more effective. Rotations of troops to particularly vulnerable countries could also be expanded. Such an outcome would make a difference from the standpoint of eastern members’ security needs, while being easier to accept for countries insisting that the Nato-Russia Act should at least formally remain in force.